TJ Pierce will be a featured speaker at the 2018 REALTORS® Conference & Expo, an annual conference produced by the National Association of REALTORS® (NAR). The REALTORS® Conference & Expo will be held November 2-5 at the Boston Convention & Exhibition Center in Boston, Massachusetts. The event will include 100 education sessions, the largest real estate industry trade show with 400 exhibitors, and the opportunity to network with 20,000 real estate professionals and guests. Here is our latest interview conducted by Atomic Ranch Magazine and published in their Summer edition. They did an excellent job covering our work and represented us very well. We couldn’t be more excited to have this kind of coverage from such a reputable source and trusted resource to our mid-century community! 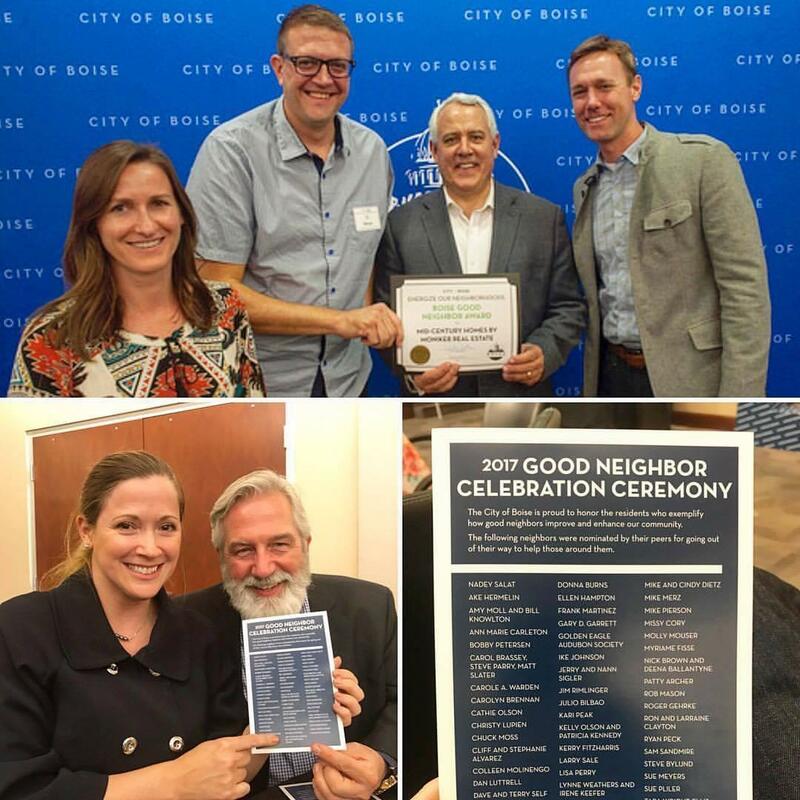 Our team had the pleasure of receiving the annual “Good Neighbor Award” from Mayor Bieter last week for bringing awareness and notoriety both locally and nationally to the mid-century market in Boise, ID. We appreciate people like Elizabeth Langley who have been cheerleading our efforts nearly from the beginning and nominating us for this award! We are honored to have received it. Visually, the home is stunning: Its roof looks like elegant origami. The exterior is a blend of dark wood, stained concrete block and gray cement board. The windows open onto the expansive view of the lawn and a meticulously kept Asian garden. The interior simply breathes with modernist cool, with interesting angles throughout, sleek wood Euro-style cabinetry, a globe chandelier that moves on a track over the dining area and other interesting fixtures. This rare, essentially untouched midcentury modern home in Boise, Idaho, was designed by Art Troutner and completed in 1959. In addition to being an architect, inventor, and engineer, Troutner co-founded the Trus-Joist Corporation and is considered a pioneer in the field of wood technology. 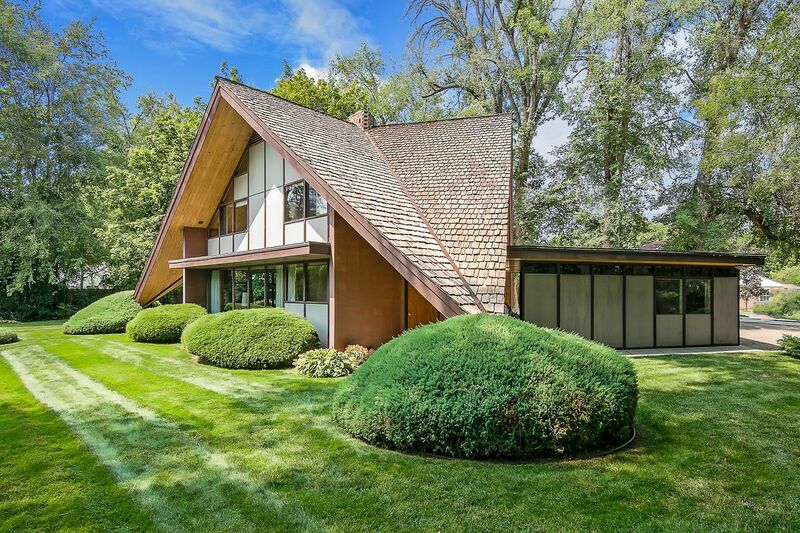 Completed in 1959, The Phillips House is a singular piece of Boise history and a remarkably preserved example of architect Art Troutner’s genius. Designed by Troutner for Dr. John Phillips, a professor and head of the psychology at Boise State, and his young family, the Phillips family remained the only owners and stewards of the house until 2017. Save for the additions of a shop and detached mother-in-law suite, the house is almost entirely original. Not only has Mid-Century Homes by Moniker Real Estate been making big waves in the mid-century real estate scene around Boise & beyond, but they have also helped to foster a thriving mid-century community. Idaho Modern (and Preservation Idaho) introduced their forthcoming booklet Idaho Modern Field Guide: The History, Care, and Keeping of your Mid-century Home at Boise City Hall on August 24. The 20-page booklet, funded with a $5,000 grant from the Boise Department of Arts & History, will be offered free to Boiseans. The booklet will be available beginning the evening of Sept. 8. at an event hosted by Mid-Century Homes by Moniker Real Estate at Bodovino in downtown Boise. Mid-century homes like this one on the Boise Bench are having a moment. Each month, real estate agent TJ Pierce (second from right) features photos and the story of a local mid-century modern homeowner on his Facebook page. September is the month for the home of Jason and Valerie Keeble (left), which was designed by the late Boise architect Nat Adams and built in 1957. Jason Keeble, owner of Trademark Sign Company, is an illustrator, and his paintings adorn the walls of the couple’s home. Boise residential real estate firm Mid-Century Homes by Moniker Real Estate specializes in Boise homes designed and built in the 1950’s and 1960’s. Owner TJ Pierce has a serious passion for mid-century architecture and is working to share his passion with other mid-century enthusiasts. In an industry that already has enough providers to choose from, how is it possible to become a market share leader?